Today let's create some cute and easy spread to spook your guest and family. This year our Halloween-themed recipes include creepy "purple blue" noodle and ghoulishly curry rice which can be done in less than an hour using common ingredients in your pantry. So check out our step-by-step videos and recipes below and do enjoy your party with lot of fun and spooky food. The fun and challenging part of cake making is about the science and logic behind the mixture of ingredients. For example a change of flour or decrease in the amount of liquid might affect the texture of the cake. I had a great interaction time making these popular Taiwan Castella Cake with our Instagram viewers thru the live video where we worked on the steps together. Soy Sauce Chicken is consider as one of the classic Cantonese meat dish where the chicken is being cooked in a broth mixed with light and dark soy sauce, Chinese wine, ginger and spices. This dish is pretty easy to prepare and I am sure you will get the hand of it with our demo video below. The salted egg fever has never seems to wave off and recently KNORR has launched their Golden Salted Egg Powder that comes in 800g pack (R.P S$9.90) which is suitable for home use. Furthermore there is no MSG and each packet can easily help you recreate any of your favoruite dishes without fuss. Hence good news for those living in overseas, you can now stock up this new product to enjoy local feast without the trouble of find salted egg yolk which might not be easily available at your end. Today I will be sharing one of our family favourite recipe which often known as ABC Soup. I have being boiling this soup at least one a week for more than 10 years since my boy was two because he often request to have it with Alphabet pasta or porridge. I simply love to explore different recipe using banana as one of the ingredients. 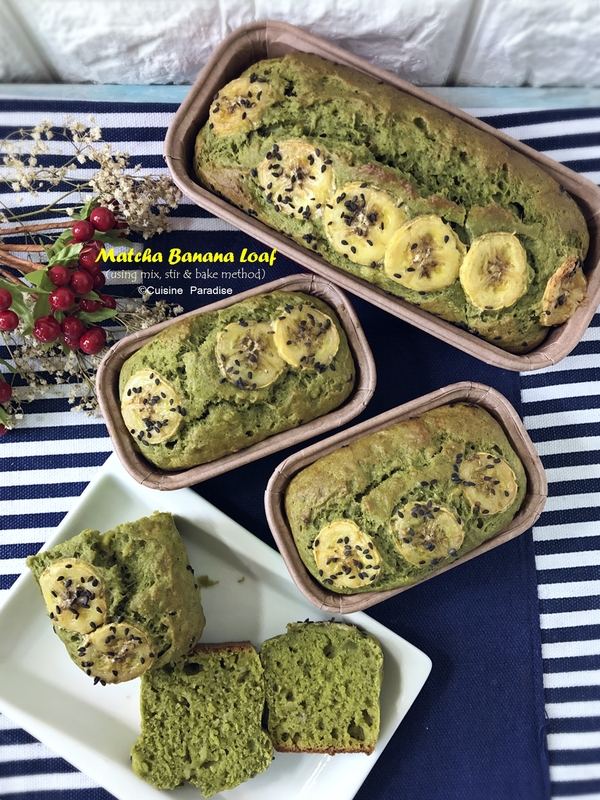 Recently I made this hassle free Matcha Banana Loaf using the last two overripe banana that I had in the pantry together with my favourite matcha powder. Furthermore the steps are easy to follow as it requires only mix and stir before you pop the batter into the oven. Compared to char siew (BBQ pork) our family preferred roast pork belly which has a crisp top and savory tender meat. Frankly speaking all along I have never thought of making my own roast pork because in Singapore it can be easily bought from roast meat stores. But recently I was inspired by one of my bestie to make them at home after realizing how easy the steps were. In this article I am sharing my version made using air-fryer and how I pair it with noodle to make a hearty meal. Honey which is a natural sweetener for making beverage is also an excellent addition for baking and cooking. It can helps to retain moisture in the cake or adds as a golden hue to sauces and dressing. Personally I find honey blend well with most meat dishes especially chicken and it make great dressing when mix with lemon, mustard sauce or fresh herbs too. From what I read up you can actually replace 1 cup sugar with half portion of honey in your recipes to cut down the amount of sugar used. So for a healthier diet perhaps you can try adding honey into your next bake or checkout our honey related recipes below. This is Part IV (Part I, Part II and Part III ) of my chiffon cakes post and in each post there are five different flavour of chiffon cakes. On a count I think I have made more than 25 flavour and out of those Pandan Chiffon Cake is the only one which I often made at least once or twice in a month. Since my family prefer cakes that are without cream or frosting my bakes often rotates between chiffon or pond cake. But once in a while upon request I would also bake muffin, chocolate brownie or cheesecake. 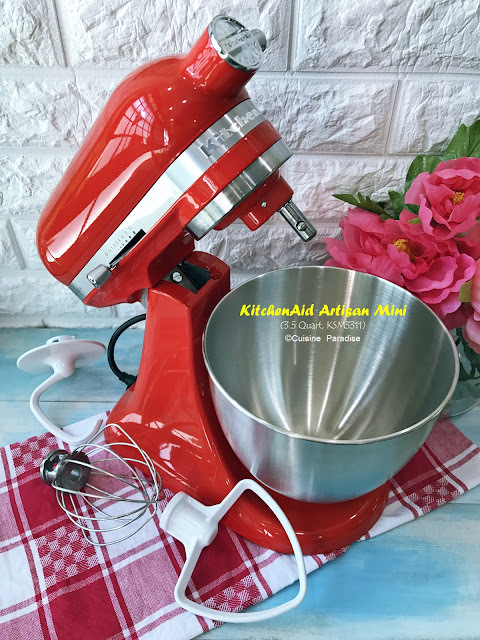 There are two fruity chiffon cakes recipes in this post plus one of my favourite using gula melaka which I hope you can try on it. Madeleines (玛德琳)are a small light French sponge cake that are baked in the shape of a shell that exist in a few sizes and design. The key to determine the success of a Madeleine cake is its high "belly" which similar to the "feet" of a Maccaron. Hello friends, still thinking of what to cook for reunion dinner or getting ingredients to wrap your wonton and gyoza? 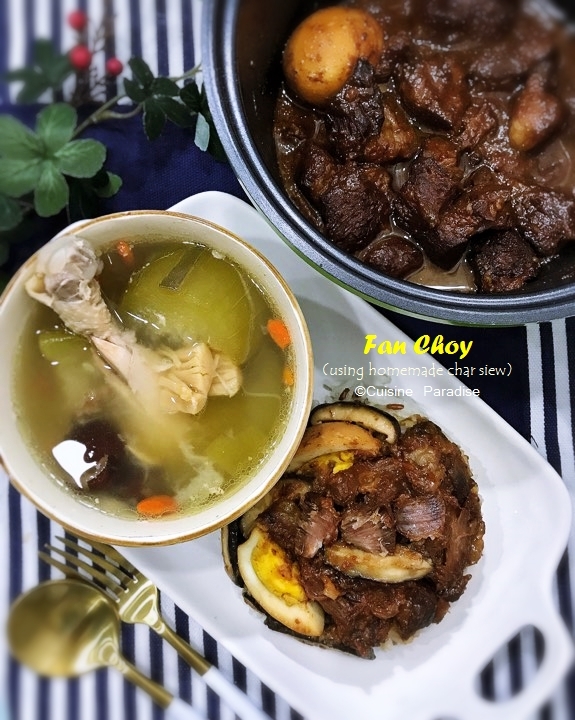 Actually you can get everything done hassle-free by tapping on to CP Foods' array of steamboat items such as shrimp wonton, chicken and pork gyoza plus they newly launched clear chicken broth concentrate. All you need is to cut the package, pour and you are minutes away from your meal. Below is our upgrade version of "shrimp wonton soup" which I am sure it will add some bonus points to your feast. Chinese New Year is about 3 days from now and I am sure most of you have already done with your shopping list. But if you have not done so, don't worry you still have time to join the crowds to pick up all the necessary goodies and at the same time soak in the festive mood. 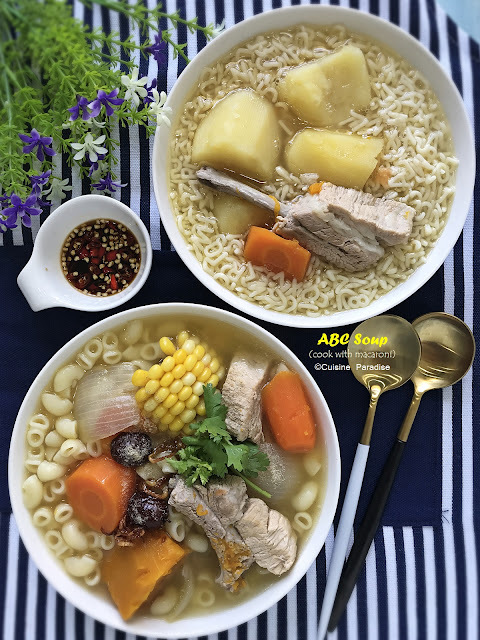 In this articular you can find some last minute deals to get frozen seafood or steamboat items at Woodlands factory outlets or online site to order your goodies and get them delivered it to your doorsteps. Loh Bak aka Five-Spice Meat Roll is a common street food in Penang, Malaysia. The pork is marinated in Chinese five-spice powder (五香粉) together with other various ingredients such as yam, water chestnuts, jicama (turnip), onions and etc then rolled up with a sheet of beancurd skin and fried till crispy. Below is our first trial of making lobak and we really loves the texture with bits of chunk meat, soft yam and crunch of water chestnut. 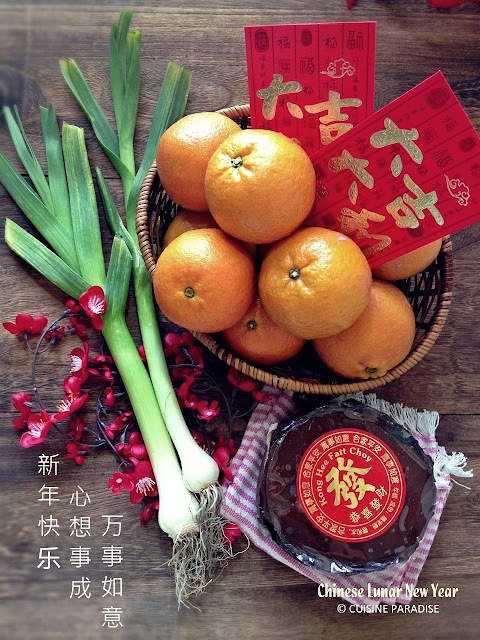 Chinese New Year is about a week from now and I am sure everyone is busying with spring clean, baking new year cookies or preparing gift sets and food for your loved ones. In this week post we feature a quick Braised Chicken dish using some auspicious new year ingredients which you might be interested in. In this modern society I believe many of us have at least one rice cooker at home. And as a home cook who prepare at least 5 meals a week, I prefer a good and durable rice cooker that makes cooking convenient and foolproof. For example: just add rice and water then press a button to start the cooking. Nowadays they are so many variety of rice cooker available on the market which offer special features that meet individual needs. Some of the innovative cookers can even use to prepare quick and easy one-pot meal like what we did in this post. For more information on our traveling trips, click HERE for the list. Click on the above photos or HERE for more kitchen pantry ideas. Copyright by ©http://www.ellenaguan.com (Ellena Guan) 2005 - 2018. All texts and photographs in CUISINE PARADISE are original unless otherwise indicated. Unauthorized use and/or duplication of any content and photos without written consent from the blog's author Ellena Guan is strictly prohibited. All rights reserved by Cuisine Paradise. Simple theme. Powered by Blogger.